Incentive payments for transitioning from paper records to electronic health records has prompted many physicians to purchase electronic health record systems. 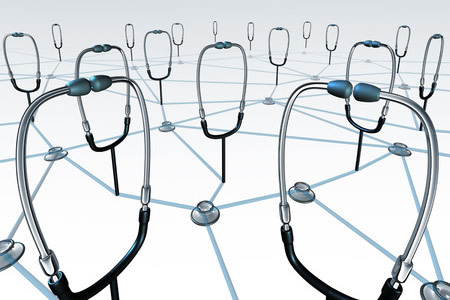 By 2015, 77.9% of office-based physicians had installed and were using EHRs. However, while EHRs are now in use in most physicians’ offices, the vast majority of physicians are not getting the full benefits of their EHR systems, according to a recent report from the U.S. Department of Health and Human Services’ Centers for Disease Control and Prevention (CDC). CDC took data from the 2015 National Electronic Health Records Survey (NEHRS) for the report: State Variation in Electronic Sharing of Information in Physician Offices: United States. 2015. Survey data were used to describe the extent to which EHR systems were being used by physicians and the report provides a snapshot of the interoperability of medical records. While the systems are now in place to allow the sharing of health information with other healthcare providers, there are still many barriers which are preventing data sharing and consequently, physicians and patients are not receiving the full benefit of EHRs. According to the report, in 2015 only a third of physicians had used their EHR system to either send, receive, integrate, or search for patient health information and only 8.7% of physicians had used their EHR system for all four of those functions. Only 38.2% of physicians used their EHR systems to send electronic health information to other healthcare providers. 38.3% used their system to receive electronic health data, 34% used their system to search for patient data from other providers and 31.1% had integrated health information from other healthcare providers. There is also considerable variation in the use of EHRs between states. In Arizona, 56.3% of physicians used their EHR systems to send patient health information, yet in Idaho only 19.3% of physicians had sent health information to other providers. 65.5% of physicians in Wisconsin received electronic patient health information from other providers, while in Louisiana and Mississippi only 23.6% of physicians said they had received electronic health data. 61.2% of physicians in Oregon used their EHR systems to search for patient information from other providers, while in Washington D.C. it was only 15.1%. Integration of electronic health information from other providers was greatest in Delaware (49.3%) and lowest in Alaska (18.4%). The introduction of new standards to facilitate data sharing between different EHR systems should go some way toward improving interoperability, but progress is still painstakingly slow and the full benefits of EHRs are still not being attained. The goal may be a fully interoperable health system, but at present that seems a long way from becoming a reality.